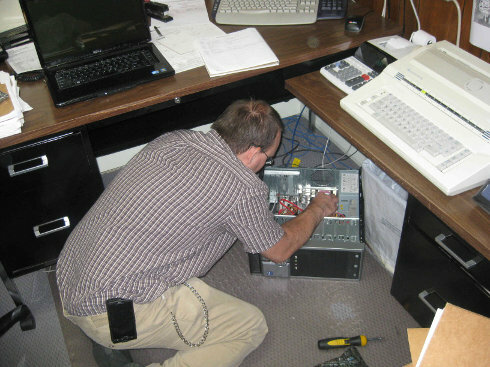 Kelly’s Computer of Ionia, Michigan is proud to offer professional and timely on-site services to fit your needs! In the fast paced business world companies must have a plan for hardware failures, computer issues and network problems. Worry no more. Kelly’s Computer is ready to serve you when you need it most. Let me come handle your computer needs today. Please click Contact ME to get a quote today. On-site repair to get you running in no time! I keep stock of most parts and have them available at every service call. So the next time you have a failure of any kind, give me a call and I will have you up and running in no time!